The Now and Then community heritage wiki was initiated to research the potential of Web 2.0 technologies to engage and sustain interest in local history and heritage collections. The aim of this action research project is to explore whether wikis can provide a low-cost, sustainable way of increasing interest and participation in the preservation, interpretation and enjoyment of local history and heritage collections. The target organisations to use the wiki are generally very small and are often staffed solely by volunteers. The pilot implementation in a small rural community has been well received and is generating significant levels of interest and participation. This paper aims to share the learning from this project about the potential and implications of wikis as the basis for sustainable knowledge communities around local history and heritage. It explores how collaborative knowledge-making practices such as crowdsourcing present new challenges and opportunities for museums, their information management paradigms, and their relationships with communities. Keywords: community, crowdsourcing, local history, participation, web 2.0, wiki. Mallala (pronounced Mal-la-la) is a small community of some 500 people in rural South Australia. For the past year, members of the local historical museum have been involved in a pilot project aimed at developing new ways of recording, preserving and sharing local history using Web 2.0 approaches and technologies. The wiki Web site that has emerged from that project: (http://www.nowandthen.net.au) demonstrates the potential of wiki-based collaboration to create and nurture communities of interest, enliven the presentation of history, and develop new information management and knowledge sharing paradigms and practices for small, volunteer-based collecting organisations. This paper describes the project, its initial outcomes and the future possibilities it suggests for collecting organisations, large and small. The first part of the paper introduces the phenomenon of on-line crowdsourcing and what it might mean for museums, wikis and the practice of history. The second part focuses primarily on understanding how this small volunteer-run museum and its community have adopted and been changed by the Now and Then wiki experiment in producing and sharing local history using Web 2.0 technologies. Crowdsourcing is a popular description for the practice of enabling Web site users to become co-creators and co-curators of information by providing content, comment, ratings and recommendations. The term was first promoted by Jeff Howe in Wired magazine in 2006. The concept of crowdsourcing makes manifest and puts into practical use ideas about ‘the wisdom of crowds’ popularised by James Surowiecki (2004). In the collaborative world of Web 2.0 technologies, crowdsourcing is an increasingly common practice as the boundaries between amateur and professional content producers and between creators and consumers become ever more blurred. Crowdsourcing and the emergence of self-sustaining on-line communities that create and share bodies of knowledge have been greatly advanced by the advent of Web 2.0 tools such as blogs, wikis, tagging, ranking and recommender systems. The use of these tools is moving the Web to become more fully the read/write environment envisaged by its founder Tim Berners-Lee. While the uptake and widespread use of Web 2.0 tools is much discussed, closer consideration of the methods, objectives and outcomes that underpin crowdsourcing approaches is at least equally worthwhile. In any case, the two most notable and significant exemplars of crowdsourcing in its broadest sense - Google and Wikipedia - preceded both the popularity of the term and the “Web 2.0” phenomenon itself. These two behemoths of the Web also demonstrate quite different methods, business models and knowledge management paradigms in their crowdsourcing activities. If, as Tim O’Reilly and John Battelle (2009) assert, “Web 2.0 is all about harnessing collective intelligence”, what might be most interesting to explore are the many ways in which the harness is made to work and the purposes to which that collective intelligence can be applied. One of the things that I believe in passionately is genuine human communities, as opposed to ‘crowdsourcing.’ What do I mean by that? I mean, people who get to know each other, over time, as real human beings, and through that process, gain a sense of trust and responsibility for each other and for the task at hand. (as quoted by Sanchez, 2007). In Wales’ mind at least, ‘crowdsourcing’ suggests a form of dehumanising exploitation. Instead, he proffers human community as both the means and the end of the Wikipedia enterprise. Clearly, it’s a different story for Google and other commercial on-line enterprises such as e-Bay and Amazon whose business models also, if less obviously, rely on user contributions both directly and indirectly. Their business models implicitly and explicitly monetise user activity. Wikipedia, in contrast, relies entirely on donated labour and cash to sustain its endeavours. Crowdsourcing comes in many forms. It may be a highly visible or an implicit practice, accomplished by computer processing power or through human collaboration. Randall Stross notes one of the key differences between the information management paradigms of Google and Wikipedia is that Google relies on automated machine processing of search requests according to its algorithms, while Wikipedia is underpinned by human editorial processes of judgement and debate (Stross, 2009: 184). The “objectivity” of an automated information service is contrasted with one mediated by the less predictable and more subjective dynamics of community. Given these differences in purpose, business model and information management paradigms, Wikipedia’s success is perhaps more remarkable and certainly more surprising, although that success is in no small part due to the symbiotic relationship it now enjoys with Google and other search engines. Wikipedia’s prodigious growth and enormous popularity- it is the fourth most visited site on the Web- make it the most celebrated examplar of Internet-based crowdsourcing, even if Google financially outperforms it and Jimmy Wales disavows the term. Wikipedia’s unlikely business model and improbable success has seen it “revered and denounced in equal measure” according to Charles Leadbeater (2008: 12). “Wikipedia still has its critics, skeptics who doubt its merits as a reference source,” writes Evgeny Morozov (2009). “But even they cannot deny the tremendous social innovation unleashed by Wikipedia-the-project.” The Wikipedia experiment both confounds and challenges established norms of on-line business and information management, as well as challenging the practices and business models of established knowledge-based enterprises such as printed encyclopaedias, not to mention professionalised knowledge management occupations and institutions such as libraries, archives and museums. For some, such as Tapscott and Williams, Wikipedia and its model of “mass collaboration” represent the vanguard of a new “art and science of collaboration” they describe as “wikinomics” (Tapscott and Williams, 2006: 18). Wikipedia’s article-based structure and its collaborative editing tools and processes enable many thousands of people around the world to work together to create an increasingly reputable reference of information on millions of topics. “The new mass collaboration is changing how companies and societies harness knowledge and capability to innovate and create value. This affects just about every sector of society.…” (ibid, 20). Tapscott and Williams identify four powerful new ideas as the foundation of wikinomics: openness, peering, sharing and acting globally. These four principles, they argue, will define how the twenty-first century ‘collaboration economy’ will operate. Self-organising networks of collaboration are replacing the hierarchies, silos and command structures that characterised twentieth-century organisations. Similarly, Charles Leadbeater describes Wikipedia as an example of what he calls “we-think” when “creativity is inevitably a collaborative activity that thrives when people share and mix ideas, allowing them to cross-pollinate” (Leadbeater, 2008: 20). He argues that the success of “we-think” enterprises requires a balance of three ingredients: participation, recognition and collaboration. Getting this mix right is the critical challenge that all organisations now face. He describes Wikipedia as, “like a vast bird’s nest of knowledge, each piece carefully resting on another. Yet it is a bird’s nest with no bird in charge of where to put each piece. It has almost created itself” (ibid: 19). In a “we-think” world, organisation becomes a much more fluid, emergent phenomenon; less bounded, less mechanical and less bureaucratic. It is this phenomenon of the self-sustaining emergent on-line community that Clay Shirky has identified and analysed in his work Here Comes Everybody, subtitled: The Power of Organizing Without Organizations. Shirky’s main contention is that new on-line communication tools mean “most of the barriers to group action have collapsed, and without those barriers, we are free to explore new ways of gathering together and getting things done” (Shirky, 2008: 22). Tapscott, Leadbeater and Shirky all agree that these new models of collaborative knowledge building, enabled and spread by Web 2.0 technologies, necessitate or bring into being new forms of organisation. These new forms, as Wikipedia demonstrates, are very different from the hierarchical, unilinear and bureaucratic forms of public knowledge sharing represented by traditional encyclopaedias, libraries, archives and museums. The potential of wikis as knowledge sharing platforms for cultural heritage has been regularly discussed and demonstrated at this conference over the past five years. A few papers have discussed museum participation and representation in Wikipedia (Bowen and Angus, 2006; Tunsch, 2007); others have described wikis as one potential technology for improving user engagement and participation (Hoffman and Herczeg, 2005; Bowen et al, 2007; Bowen, 2008; Oomen et al., 2009); and a number have described specific museum wiki projects (Alain and Foggett, 2007; MacDowell et al., 2009; Roberto and Loosely, 2009; Baker et al., 2009). This paper aims to add to that growing body of knowledge about wikis as a platform for new practices and experiences in cultural heritage informatics. It will do that partly through an examination of the progress of the Now and Then community heritage wiki that is the main subject of this paper. But before that, by way of introduction, I will attempt to summarise some of the reported experiences from those accounts and examine some of the issues about the practice of history and the dynamics of public engagement that emerge in the use of on-line communication technologies such as wikis. A number of the project accounts cited above comment on the reluctance and apparent ambivalence with which museums have approached the use of wiki technologies as tools for public engagement and the sharing of knowledge. Jonathan Bowen, a persistent and enthusiastic advocate of museum wiki use, has explored both participation in the Wikipedia project and stand-alone museum wiki projects. In 2007 he noted that there was “not much public use of wikis by museums”. Loosely and Roberto (2009) likewise comment on the “the relatively low take-up of wiki technology” within the museums sector. Similarly, Tunsch (2007) regretted that there had been, “no structured debate about Wikipedia and museums”, a lack which, fortunately, is being addressed at MW2010. Tunsch asserts a commonality of purpose between Wikipedia and museums, notwithstanding their different processes and organisational models, and argues for a better alignment of curatorial practices to the techniques of socially-negotiated knowledge enabled by wiki technologies. Whether the low level of wiki use by museums reflects ambivalence, indifference or resistance is hard to tell. In the case of Wikipedia participation, it is perhaps a mixture of all three, as the Wikipedia model can be viewed as a direct challenge to the authority and professional and institutional traditions of museums. Nonetheless, what is clear from the museum wiki projects discussed at this conference previously is that the spirit of curious exploration is alive and well. These project accounts offer revealing insights into the complexities and challenges of making use of wiki technology in a museum context and share some hard-won wisdom about effective use of social media. Perhaps part of the problem in deciding how to make use of a wiki in a museum environment is the sheer flexibility of wiki technology. Wikis are, fundamentally, simple content management systems (CMS), bringing together aspects of older Web technologies such as discussion lists, news groups and forums, as well as more recent social media tools like blogs and newsfeeds. Although sometimes implemented for internal use (like an intranet) or for project collaboration across organisational and IT boundaries, most museum wiki projects, few as they are, appear to have been directed at a specific or general public use. The most commonly cited reason cited for a museum to undertake a wiki project is to enrich the information they hold about collections by crowdsourcing various types of information - factual, descriptive, or associative and affective. Others have established wikis as extensions of an exhibition or public program, or simply as experiments. The Minnesota Historical Society MN150 wiki (http://discovery.mnhs.org/MN150) solved a problem of managing information resulting from a crowdsourced exhibit (Baker, et al., 2009). 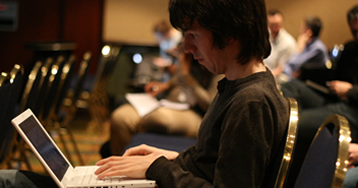 The wiki projects reported have met with mixed success in the eyes of the correspondents, often struggling to attract hoped-for levels of public participation. The biggest problem these projects seem to have encountered was not born of technology, nor vandalism nor misuse of the open wiki authoring environment, but lack of use. This is the problem of finding or building a sustainable participation model common to all museum social media projects (Russo and Peacock, 2009). The often disappointing public response to these projects should not be seen as failure, but rather as evidence of the complex challenges inherent in achieving and sustaining the right mix of ingredients described by Leadbeater: participation, recognition and collaboration. Bowen suggests that the secret of a successful wiki lies in achieving a critical mass of participants with a shared sense of purpose. He argues for the important role of a wiki ‘champion’ at least in the early stages (Bowen, 2008). Baker et al. (2009) recommend that “adding content must be easy, the content should compel the community to act and the community must be nurtured.” Others identify the importance of feedback mechanisms, such as welcoming new users and acknowledging their efforts and being mindful of - and addressing- the many possible barriers to public participation (Alain and Foggett, 2007; Bowen, 2008). Clearly, wiki practice in the museums sector remains experimental and exploratory. The issues that emerge from these initial forays include finding the right balance between the interests of the museum and those of participants; managing social dynamics, including recognition, rewards and conflict resolution; and addressing barriers such as skills development and effective IT and Internet access. Historians are not generally known for their embrace of the Web as a research tool nor as a communications platform. For the most part, many have maintained a sceptical, if not hostile view of Web-based information resources and presentations. Daniel Cohen and Roy Rosenzweig, co-authors of Digital History (2005), observe that professional historians have a long-established bias towards the creation and consumption of history by individuals, in narrative prose form, believing “that meaning is best derived by an individual reader”(Cohen and Rosensweig, 2005). Cohen suggests that for many academic historians, the “mere mention of the “trendy term [ Web 2.0] brings to mind…wildly popular sites that have come to haunt the classroom: Facebook, MySpace, Wikipedia…and something called ‘crowdsourcing’ [that] threaten to crowd out serious scholarly pursuits” (Cohen 2008). Traditional history is, as Rosenzweig (2007) observes, a deeply individualistic discipline, not naturally inclined toward collaborative endeavours. Yet some historians are enthused by the possibilities for collaboration enabled by the Web and by Web 2.0 technologies in particular. Public history, which positions itself outside the academy and closer to the general community, seems to offer more fertile ground for more collaborative, grass-roots approaches to knowledge creation and sharing. Stephanie Ho argues that an understanding of popular culture and memory is essential to producing history that has meaning for the public beyond the academy (Ho, 2007: 64). Digital communications technology enables many more hands, voices and ears to participate in the making and sharing of history. According to Paul Arthur, “digital media have begun to release history from the controlling hand of the authorial point of view and have made everyone a potential contributor to an ongoing process of shaping and reshaping history” (Arthur, 2008: 187-188). The spectre of less individualistic, more grass-roots history challenges established historical practices and professional roles. Cohen and Rosenzweig observe that the Web gives a much louder voice to amateur historians. The leveling of access to the tools of cultural production and reproduction characteristic of digital communication technologies forever changes the dynamics of author and reader and the voices and histories that might be heard. According to Leadbeater, “The Web will encourage us to see everyone as a potential participant in the creation of collaborative solutions through largely self organising networks” (Leadbeater, 2008: 8). The same may be argued for the practice of history in a digital, Web 2.0 environment. Collaborative digital public history projects offer the promise of changing and revitalising not just museum practice but the professional and institutional practices of history as well. Now and Then (http://www.nowandthen.net.au) is a pilot project that, like Wikipedia, uses wiki technology to crowdsource information, in this case about local history in Australian communities. Unlike Wikipedia, Now and Then is a wiki designed with a strictly local focus. The content of its articles is written by local residents about local things: the people, places, events, organisations and objects that are and have been significant within that locale. In the pilot implementation in Mallala (http://mallala.nowandthen.net.au) the project has been run through the local history museum, an organisation which is run entirely by volunteer staff. The museum’s management committee has been the key driver supporting the project so far. Now and Then uses the techniques of crowdsourcing enabled by wiki-based collaboration to create and sustain a knowledge community around local history. It uses a collaboration model that is deliberately on a small and local scale. The project was initiated as a form of action research to explore how the efforts of volunteer communities to document and preserve local history and heritage can be supported and sustained using Web 2.0 technologies. The Now and Then wiki Web site is a proof of concept implementation which demonstrates how the many thousands of local heritage enthusiasts might be equipped, at low cost, to create and sustain on-line communities of interest around local history and heritage. In Australia there are more than 3000 organisations going by the name of museum, archive or historical society. The vast majority of these organisations are not the large publicly and privately funded collecting institution, which generally have access to the skills and resources to utilise a wide range of Web-based technologies, but small, volunteer-run organisations, typically with a strongly local orientation. Most small collecting organisations, particularly in rural and regional Australia, lack access to the tools, infrastructure, skills and support that would enable them to document and display their collections electronically. Typically the skills do not exist in these organisations to develop and support an on-line presence, and it is often not easy for people working within these organisations to access training or easy-to-use instructions that would help them to engage with the on-line environment. In Australia, national initiatives such as Collections Australia Network (http://www.collectionsaustralia.net.au)have enabled some of these collections to become visible on-line via central portals, but the majority of these collecting organisations, the items they hold and the stories that those objects tell remain invisible on-line. The advent of Web 2.0 technologies shows great potential to provide these smaller organisations with low-cost, localised ways to display and promote their local history and heritage collections on-line, and to develop new ways to create public engagement and participation in collecting, conservation and interpretation activities. A wiki platform that is hosted externally but which includes training and support for participants offers the best opportunity to employ Web 2.0 technology to support heritage collections and the telling of local histories within rural and regional communities. The pilot implementation of Now and Then was established on behalf of the Collections Council of Australia (http://www.collectionscouncil.com.au) with the assistance of a project grant from the .auDA foundation (http://www.auda.org.au/foundation/foundation/). The Now and Then infrastructure has been established so that individual communities can create and manage their own wiki sites, but it also allows for the possibility of aggregation across locations. The site was developed on the MediaWiki platform (http://mediawiki.org), an open-source wiki software which provides the basis for the world’s most famous wiki, Wikipedia. We decided to implement the semantic extension of the software (Semantic MediaWiki) ( http://semantic-mediawiki.org) to facilitate more structured authoring and enable automated sharing of the wiki’s content. This ensures that content created within the Now and Then wiki is available for aggregation and reuse across regions or particular items of interest, eg. architecture, collection objects, or organisational histories. The same platform is employed by another place-based museum wiki project, Minnesota Historical Society’s Placeography, http://www.placeography.org, an example which provided inspiration, models and insights that inform the design and implementation of the Now and Then wiki. In addition to the extensive functionality that MediaWiki provides, we also integrated a range of other tools within the wiki, including Flickr for handling images, YouTube for incorporating video and WordPress for adding blogs to the site. One of the most popular features of the Now and Then site is integrated mapping using Google maps, enabling users to explore the wiki articles through an interactive Google Map. The volunteers from the museum who have created the content for the wiki are older, primarily retired individuals. Many of them have lived in the district for decades and have family connections here dating back generations. In recent years they have been actively redeveloping the museum’s displays, which now rank among the best of their type. This work was recognised in 2009 when their museum became the State finalist in the national regional museum of the year competition run by Australia’s major public broadcasting network ABC (http://www.abc.net.au/rn/museums/ ). The volunteers’ knowledge of the region, their curiosity about its past, and their enthusiasm for sharing it is apparently infinite and inexhaustible! The wiki has provided a dynamic new space for them to explore and share that knowledge with a growing band of people, as well as the opportunity for learning many more skills themselves. People can participate in the wiki in many ways. They can be authors or editors, researchers, photographers, videographers, or bloggers. They can be any age, and lack of computing experience is no barrier to participation. Most of the participants commenced the project with little or no experience in using computers, the Internet or the Web. Working on the project has resulted in a rapid learning curve as they have mastered not only wiki authoring and editing, but also blogging, Flickr and YouTube. A range of other small communities across Australia have now also expressed interest in creating their own Now and Then wiki sites to record and share their own local histories, so it is a model that seems to have a broad appeal. Pleasing as it is to see this level of interest on-line, the offline response to the wiki has been equally valuable. Visits to the museum have increased, including people offering their own information, images and recollections in response to what they can now see on-line. The museum’s staff of volunteers have been able to connect up information and objects within the museum’s collection in new ways and to present those relationships on-line through the ease of hyperlinking. We have also been impressed by the generosity of other, larger, collecting organisations who are donating copies of image and archival information that they hold relating to the town and its history. The Department of Environment and Heritage, State Records Office and National Trust (South Australia) have all offered to share their collection resources on the wiki site. In this way, records and information about the town that have been widely dispersed can be integrated within the wiki and reconnected with local knowledge and collections. Many of the benefits being realised through this project so far are ones we anticipated or at least hoped for: an increase in computer skills and digital literacy; wider audiences for the information and knowledge held within the museum community; greater awareness of the museum and its collections; the contribution of further information and materials; and an increase in volunteering. Unexpected positive outcomes were the ease with which new historical information can now be discovered, shared and connected; the new opportunities for volunteers at the museum to undertake tasks other than traditional documentation and cataloguing - in their words, “to get back to doing history”; and the way the associated Flickr site provides a self-service on-line shopfront for the museum’s photographs (made available under a Creative Commons license), saving substantial effort formerly spent in searching for and copying images. Most important, perhaps, are the ripple effects of the new connections being forged within the community around the wiki, including the community training sessions in computer, Internet and wiki skills that have been hosted at the local school. Many of these effects are only starting to unfold as more and more people become involved. In this pilot implementation, the rural community of Mallala has demonstrated some of the enormous potential of collaborative Web 2.0 technologies to create new historical practices and understandings in the Age of the Internet. Crowdsourcing local knowledge through the Now and Then wiki has enabled a small volunteer-run museum to create an on-line hub for local knowledge and memory. It is now using that hub to actively engage the community in describing and remembering the area’s past, and representing and discussing it on-line. We hope their example will inspire the other thousands of small museums, historical societies and archives across Australia to explore the potential of these new technologies to support collaborative, hyperlinked histories that preserve and promote the richness of local community knowledge. According to Charles Leadbeater, “The Web’s power comes from allowing us to be social in new ways. It speaks to a deep, old-fashioned yearning people have to be connected and to share yet one that services a modern purpose, to generate new ideas and knowledge” (Leadbeater, 2007:25). We should always bear in mind that technology alone does not change society; people and organisations do. Web 2.0 technologies enable change in two main ways. First, they promote diversity by making it possible for more people to participate in making and sharing knowledge by removing barriers to contributing, collaborating and interacting. Second, and perhaps more important, Web 2.0 technologies enable new forms of organisation for collective knowledge making and sharing. The paradox of the Internet is that it shrinks our world while simultaneously multiplying our connections within it. On-line participation projects such as Wikipedia give us a chance to be a part of a more complex whole that transcends geography. Yet as Bill McKibben has observed about the ‘wealth of communities’ , “We want to be part of something larger than ourselves, yet still small enough to make sense to us” (McKibben, 2007: 171). Getting the right scale in an on-line participation project may be key to its success. In the Now and Then project, we deliberately sought to pilot the project in a very small community as we hypothesised that there would be significant social capital to support such a collaborative initiative. Putnam distinguishes between two main forms of social capital: bridging and bonding. Bonding social capital refers to connections based on similarity, whereas bridging social capital is inclusive, reaching across traditional divides. Social capital is an important concept in understanding all kinds of communities, both on-line and offline. Shirky reflects on the effects of scale on the dynamics of reciprocity within communities. “Small communities with long-time residents have the necessary social density and continuity to build up mutual favours to be a fertile ground for reciprocal altruism. Large and transient communities do not- favours ‘leak’ out of the community too quickly.” (Shirky, 2008: 313). Of course, right sizing is just one of the factors in designing an on-line participation project. Preece and Shneidermann (2009) provide a comprehensive summary of research into the motivations for technology-mediated social participation. Their ‘reader to leader’ framework identifies a spectrum of participation behaviours ranging across reader, contributor, collaborator and leader. Although we have done no formal research on this aspect, there is evidence of all of these behaviors occurring within the Now and Then project. One of the key next steps in researching such a process would be to document the network dynamics as they evolve with use of the wiki. Wiki technology offers new possibilities for knowledge-making and sharing, new models of community, and new modes of organisation for documenting, preserving and disseminating historical and cultural heritage information. Small-scale collaboration at local levels shows significant promise as a way of reconnecting the historic information kept by museums and other collecting organisations with the historical knowledge held within communities. The Now and Then project demonstrates how a new form of knowledge community can emerge through the use of wiki technology, one that provides space for multiple voices, for the social negotiation of historical knowledge and understanding, as well as for extending existing social ties and building both bonding and bridging social capital in the process. For museums both large and small, the challenge is to learn how to enable, engage with and support these communities, rather than seeking to manage and direct them to purely institutional goals. The measures of success for these activities will likely move from counting visits, page views, downloads, retweets, or even how many user accounts have been created, to more qualitative measures of social inclusion, participation dynamics, digital literacy and the creation and exchange of social capital. As Preece and Shneidermann observe, numeric metrics only capture activity. “The development of more potent measures of efficacy in achieving personal and community goals would be a big breakthrough” (Preece and Shneidermann, 2009: 25). Wikis have been proven as effective platforms of mass collaboration. Wikipedia alone has successfully challenged many of the sacred cows of public knowledge exchange, provoking a re-examination of the role of the expert, the social construction of knowledge, and the “wisdom of the crowds”. Small-scale wikis such as the Now and Then wiki described here demonstrate the potential for new forms of knowledge and organisation that may fundamentally change the way history is recorded, preserved and shared,as well as the roles that museums and other collecting organisations might play within local communities. Now that there is competition to traditional institutional forms for getting things done, those institutions will continue to exist, but their purchase on modern life will weaken as novel alternatives for group action arise. (Shirky, 2008:22). Web-enabled technologies make possible a shift in information and knowledge-sharing paradigms of a magnitude not seen since the emergence of the printing press and the wide spread of public literacy. What is the place for museums in this flattened, networked and non-linear world? Will new forms of organisation and knowledge management emerge to replace or transform them? The answer is certainly yes. What will these forms be? No one knows. However, based on the experience of Web 2.0 so far, we might surmise that they will be more collaborative, less hierarchical, better networked and more dynamic. What do we do about it: brace for change, brace against change, or accept change as the way of all things? If museums are alert to this challenge and opportunity, some at least may take the opportunity to reinvent their organisational and knowledge management paradigms and learn to live more amongst the crowd, rather than continuing to stand apart, above and beyond. Alain, A. and M. Foggett,(2007). "Towards Community Contribution: Empowering community voices on-line”. In J. Trant and D. Bearman (eds.). Museums and the Web 2007: Proceedings. Toronto: Archives & Museum Informatics, published March 1, 2007 http://www.archimuse.com/mw2007/papers/alain/alain.html. Last consulted 30 January 2010. Arthur, Paul Longley. Participating in the Past: Recording Lives in Digital Environments [online]. Cultural Studies Review , Vol. 14, No. 1, Mar 2008: 187-201. Available from: http://search.informit.com.au/documentSummary;dn=246955122079214;res=IELHSS . Last consulted 30 January 2010. Bowen, J. and J. Angus (2006). “Museums and Wikipedia”. In J. Trant and D. Bearman (eds). Museums and the Web 2006: Proceedings. Toronto: Archives & Museum Informatics, published March 1, 2006 at http://www.archimuse.com/mw2006/papers/bowen/bowen.html. Last consulted 30 January 2010. Bowen, J., et al., (2007). “A Museum’s Wiki”. In J. Trant and D. Bearman (eds). Museums and the Web 2007: Proceedings. Toronto: Archives & Museum Informatics, published March 1, 2007. http://www.archimuse.com/mw2007/papers/bowen/bowen.html. Last consulted 30 January 2010. Bowen, J., (2008). “Wiki Software and Facilities for Museums”. In J. Trant and D. Bearman (eds). Museums and the Web 2008: Proceedings. Toronto: Archives & Museum Informatics. Published March 31, 2008. http://www.archimuse.com/mw2008/papers/bowen/bowen.html. Last consulted 30 January 2010. Cohen, D. (2008). ”Creating Scholarly Tools and Resources for the Digital Ecosystem: Building Connections in the Zotero Project”. First Monday, Vol 13, No. 8, 4 August 2008. Available at: http://firstmonday.org/htbin/cgiwrap/bin/ojs/index.php/fm/rt/printerFriendly/2233/2017. Last consulted 30 January 2010. Cohen, D., and R. Rosenzweig,(2005). ”Web of lies? Historical knowledge on the Internet”. First Monday, Vol 10, No. 12, 5 December 2005. Available at: http://firstmonday.org/htbin/cgiwrap/bin/ojs/index.php/fm/article/viewArticle/1299. Last consulted 30 January 2010. Ho, S., (2007). “Blogging as Popular History Making: Blogs as Public History”. Public History Review, Vol 14, pp 64-79. Hoffmann, P., and M. Herczeg (2005). “Attraction by Interaction: Wiki Webs As A Way To Increase The Attractiveness Of Museums' Web Site”. In J. Trant and D. Bearman (eds). Museums and the Web 2005: Proceedings. Toronto: Archives & Museum Informatics, published March 31, 2005 at http://www.archimuse.com/mw2005/papers/hoffmann/hoffmann.html. Last consulted 30 January 2010. Leadbeater, Charles (2008). We-Think. London: Profile. Looseley, R., and F. Roberto. “Museums & Wikis: Two Case Studies”. In J. Trant and D. Bearman (eds). Museums and the Web 2009: Proceedings. Toronto: Archives & Museum Informatics. Published March 31, 2009. http://www.archimuse.com/mw2009/papers/looseley/looseley.html. Last consulted 30 January 2010. MacDowell, M., et al. (2009). “The Quilt Index Goes 2.0: A Fiberspace Case Study”. In J. Trant and D. Bearman (eds). Museums and the Web 2009: Proceedings. Toronto: Archives & Museum Informatics. Published March 31, 2009. http://www.archimuse.com/mw2009/papers/macdowell/macdowell.html Last consulted 30 January 2010. McKibben, B. (2007). Deep Economy: The Wealth of Communities and the Durable Future. New York: Henry Holt. Morozov, E. (2009). “Edit this page: Is This The End of Wikipedia?’ Boston Review, November-December. Available at http://bostonreview.net/BR34.6/morozov.php. Last consulted 30 January 2010. Oomen, J., et al. (2009). “Images for the Future: Unlocking the Value of Audiovisual Heritage”. In J. Trant and D. Bearman (eds). Museums and the Web 2009: Proceedings. Toronto: Archives & Museum Informatics. Published March 31, 2009. http://www.archimuse.com/mw2009/papers/oomen/oomen.html. Last consulted 30 January 2010. O’Reilly, T. and J. Battelle (2009). Web squared: Web 2.0 Five Years On. Available from http://assets.en.oreilly.com/1/event/28/web2009_websquared-whitepaper.pdf. Last consulted 30 January 2010. Preece, Jennifer and Ben Shneiderman (2009). “The Reader-to-Leader Framework: Motivating Technology-Mediated Social Participation”. AIS Transactions on Human-Computer Interaction (1) 1, pp. 13-32. Putnam, R.D., (2000). Bowling Alone. New York: Simon and Schuster. Rosenzweig, R. (2007). “Collaboration and the Cyberinfrastructure: Academic Collaboration with Museums and Libraries in the Digital Era”. First Monday, Vol 12, No. 7, 2 July 2007. Available at: http://firstmonday.org/htbin/cgiwrap/bin/ojs/index.php/fm/article/view/1926/0. Last consulted 30 January 2010. Russo, A., and D. Peacock,(2009). “Great Expectations: Sustaining Participation in Social Media Spaces”. In J. Trant and D. Bearman (eds). Museums and the Web 2009: Proceedings. Toronto: Archives & Museum Informatics. Published March 31, 2009. http://www.archimuse.com/mw2009/papers/russo/russo.html. Last consulted 30 January 2010. Sanchez, D. (2007). Journalistopia blog, posted 3 January 2007 at http://journalistopia.com/2007/01/03/jimmy-wales-on-crowdsourcing/ Last consulted 30 January 2010. Stross, R., (2008). Planet Google: How One Company Is Transforming Our Lives. London: Atlantic Books. Suriowecki, J. (2004). The Wisdom of Crowds: Why the Many Are Smarter Than the Few. New York, Random House. Tapscott, D. & A. Williams (2006). Wikinomics: How Mass Collaboration Changes Everything. London: Portfolio. Tunsch, T. (2007). “Museum Documentation and Wikipedia.de: Possibilities, Opportunities and Advantages for Scholars and Museums”. In J. Trant and D. Bearman (eds). Museums and the Web 2007: Proceedings. Toronto: Archives & Museum Informatics, published March 1, 2007. Avaliable at: http://www.archimuse.com/mw2007/papers/tunsch/tunsch.html. Last consulted 30 January 2010.